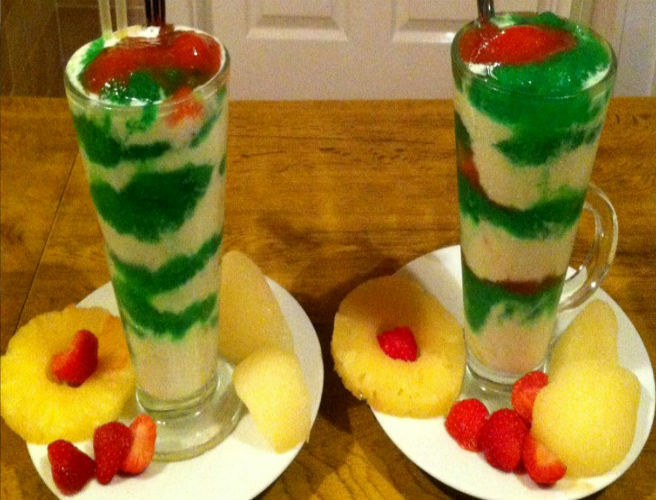 One blogger has created an epic recipe that combines a popular ice-cream and iced cocktail. 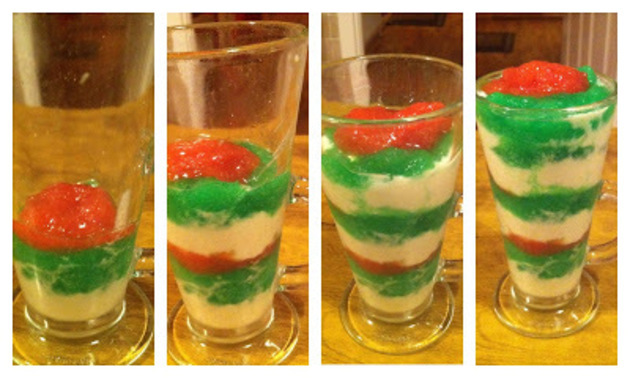 Behold The Boozy Swine's Tangle Twister Daquiri! 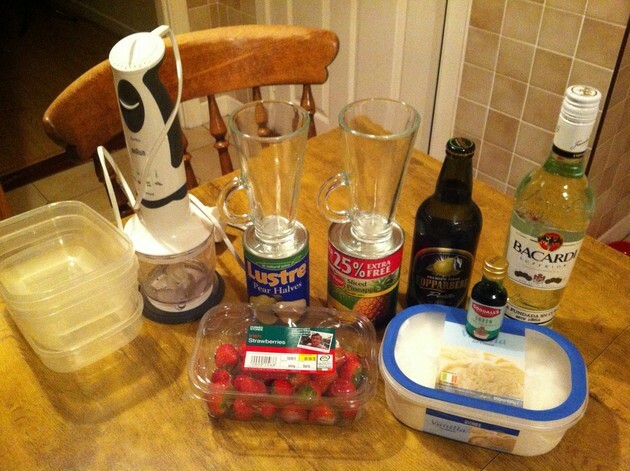 Step 1: Trim the tops off the strawberries and blend them. Add in some caster sugar and three measures of rum and blend together. 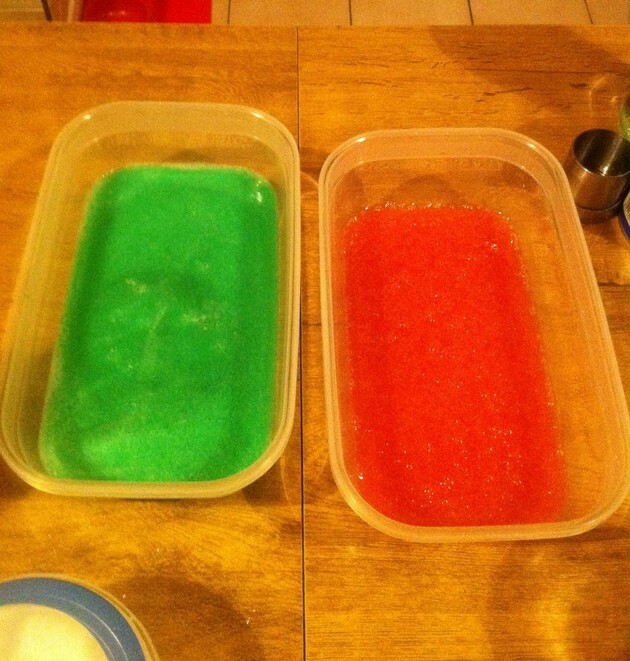 Put mixture into a plastic container and in to the freezer. Take the vanilla ice-cream out of the freezer to melt slightly. Step 2: Blend tinned pear halves with a dose of pear cider together & two measures of rum. Add in green food colouring to get the Twister shade. Place blended mix into plastic container in the freezer. 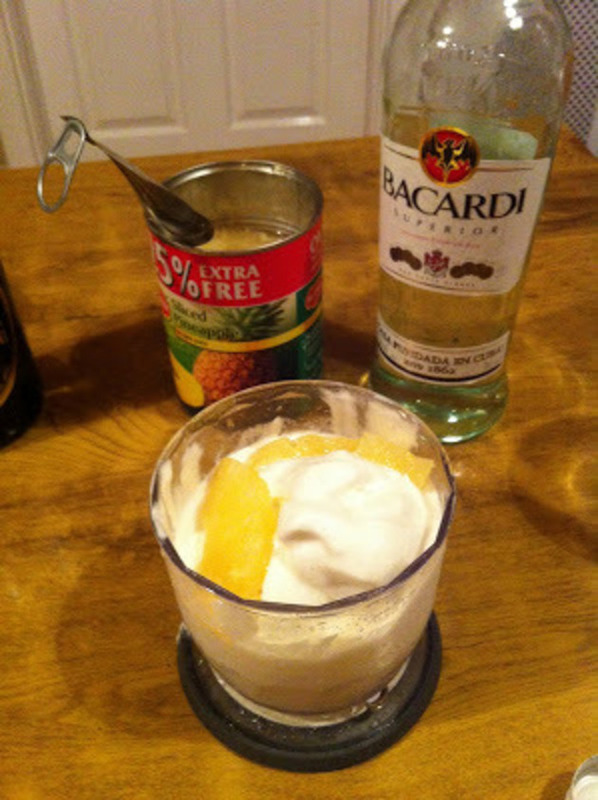 Step 3: Add three rings of tinned pineapple & a bit of juice to the semi-melted vanilla ice-cream to make pineapple ice-cream. Add more rum (optional) and blend. 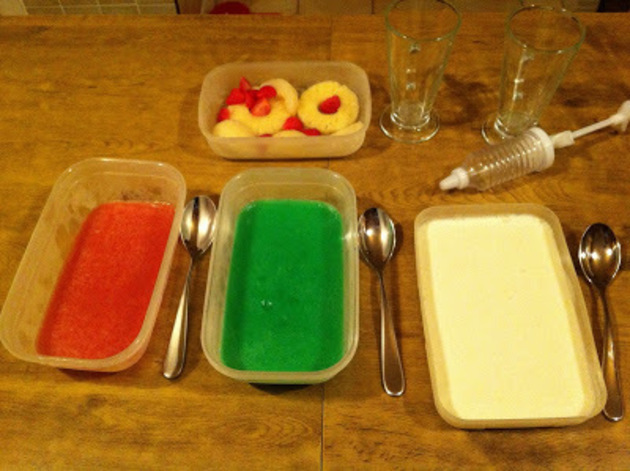 Put ice-cream into plastic container & freeze for around 2 hours. Step 4: Take the three containers out of the freezer. If they are too hard to cut through, put them in the microwave for 10 seconds. 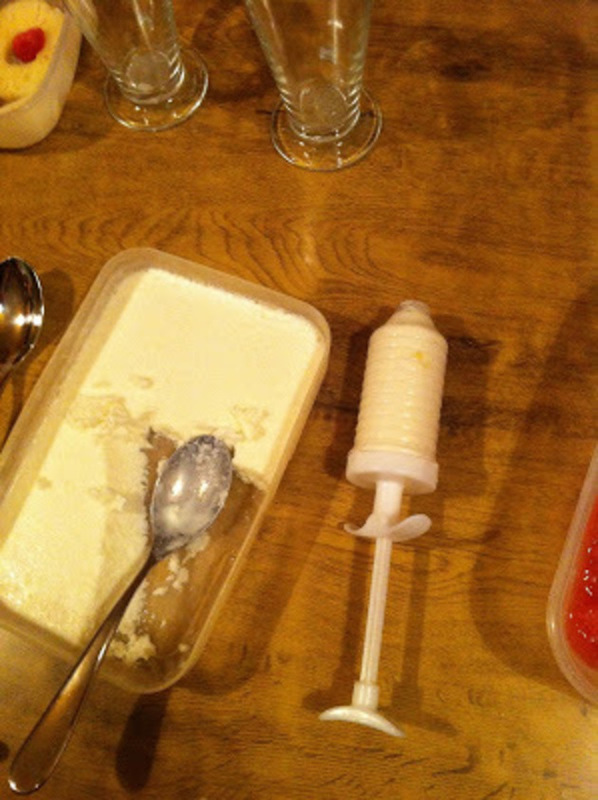 Step 5: Use an icing syringe to layer the ice-cream. Add the pear & strawberry layers with a spoon and you should be left with something that resembles the pictures below. 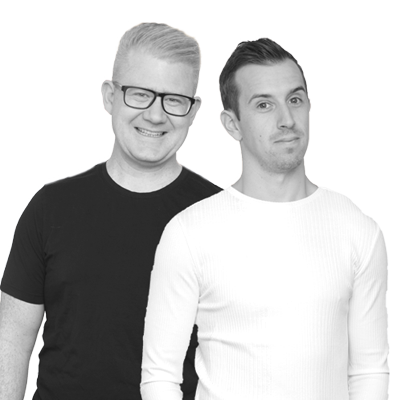 Check out The Boozey Swine on Instagram & Facebook.